Happy Friday! I'm so excited that the weekend is here because next week is February break (I totally forgot this was a thing in elementary schools). The BF and I don't have anything crazy planned for Valentine's Day, just dinner and maybe a movie. It's also going to be hella cold (yes I just said hella. Deal with it) in NYC so I don't want to spend too much time outdoors. 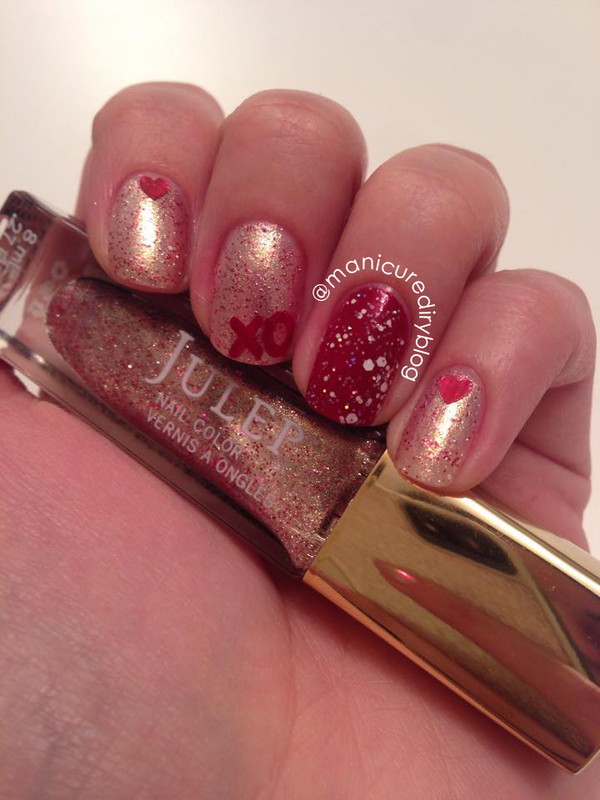 For my second Valentine's Day manicure I decided to use Julep Love, which I thought would be super appropriate! 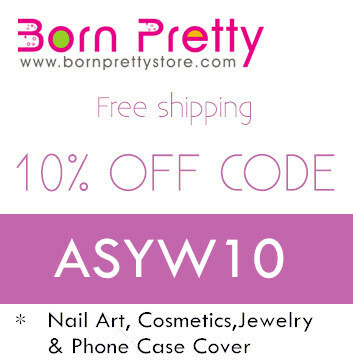 Love is a gold, pearl, and fuchsia microglitter and it is oh so pretty. 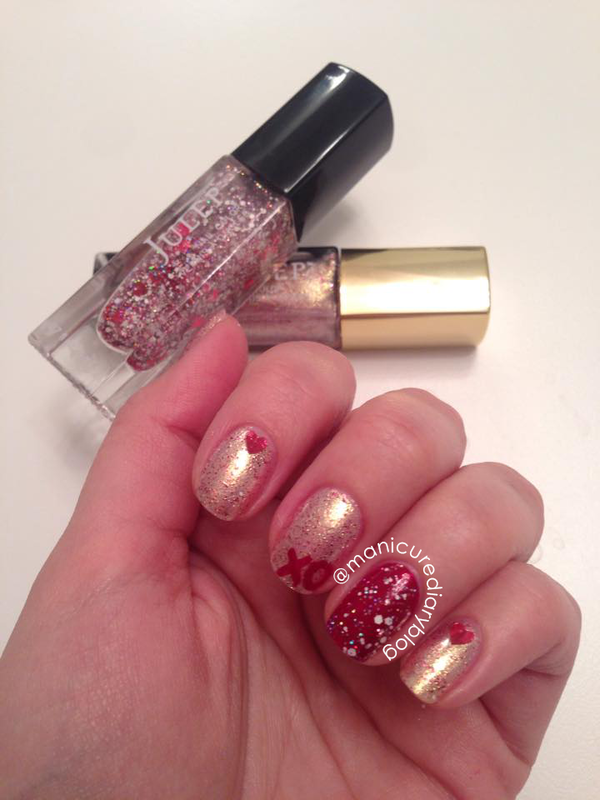 The red on my accent nail is from SquareHue's December 2014 box topped with Julep Hartleigh. 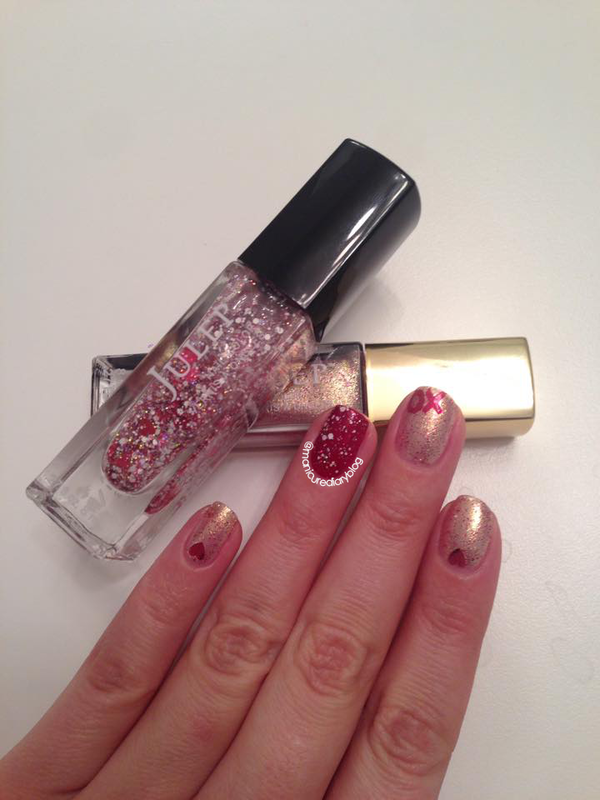 Hartleigh just came out with the February box and it is a holographic heart glitter top coat. My only complaint about this polish is that you kinda have to fish the hearts out, which to me isn't really a huge deal. Funny story about the red XO I painted on my middle finger nail. The first time I painted it I was super bothered by it because I made it too big/thick. I finally decided that I would just remove all the polish on that nail and repaint it with a smaller XO. As I went over it with my q-tip dipped in remover the XO disappeared but left my base color behind! It was a magical moment. I hope you all have an awesome weekend. Stay warm!